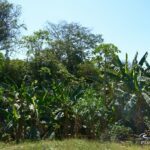 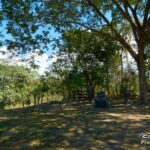 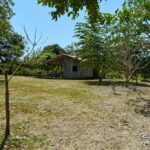 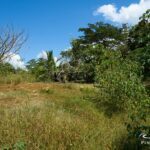 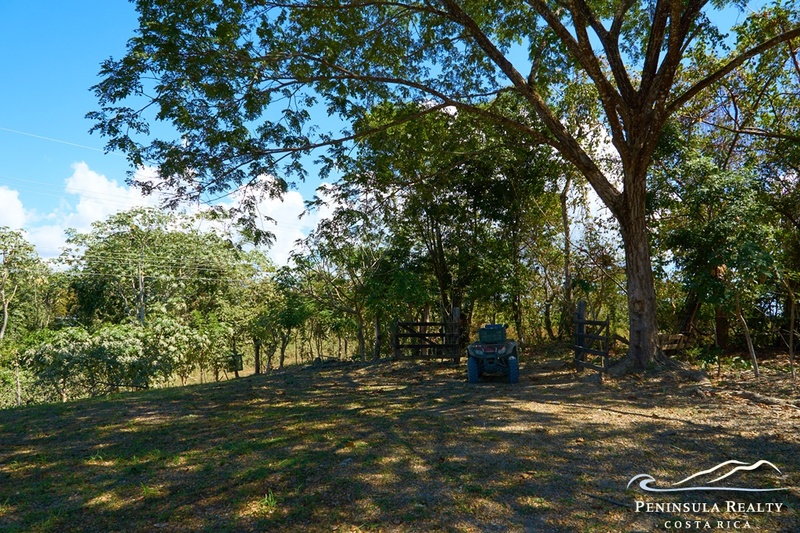 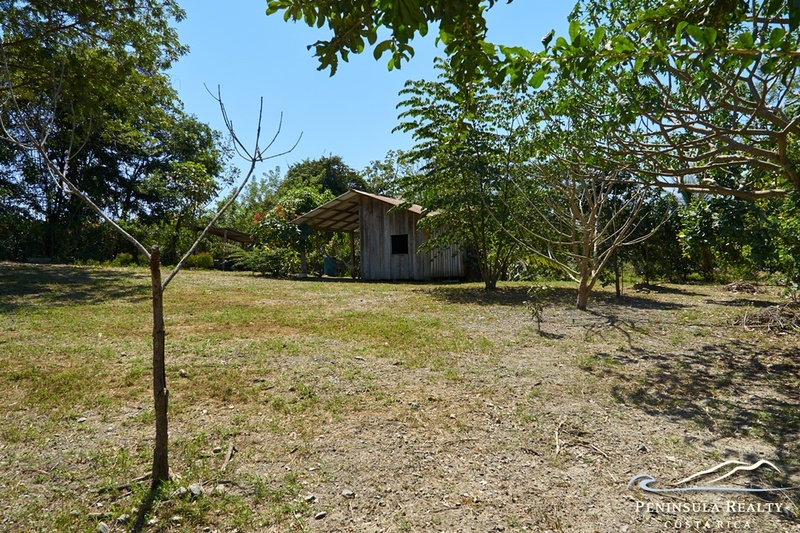 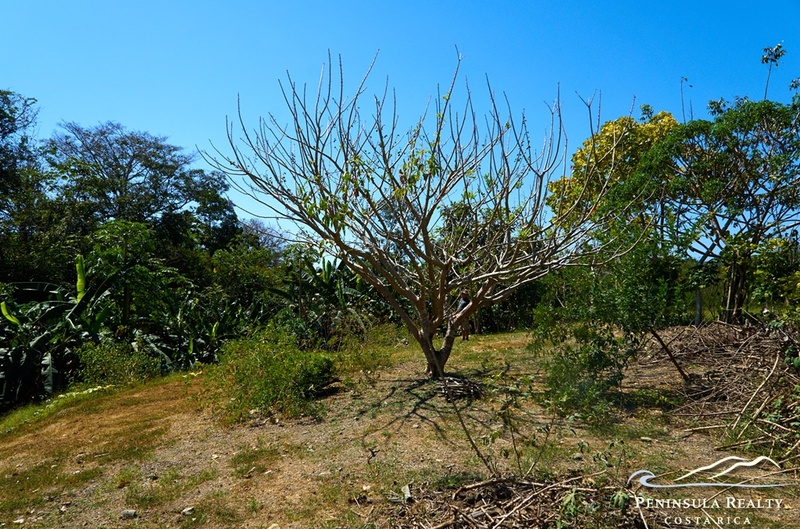 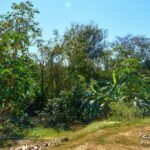 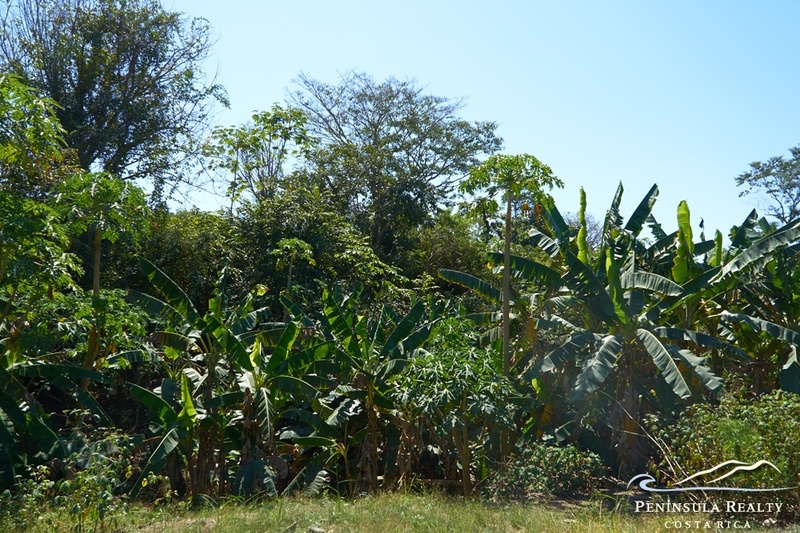 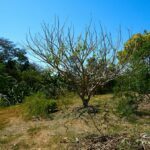 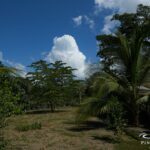 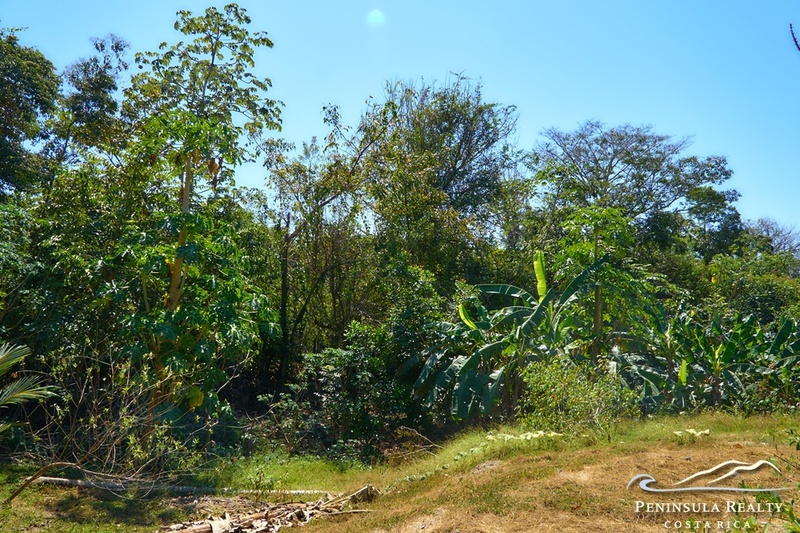 A beautiful lot at a very good price only a 10 min drive from Playa Hermosa, and a 5 min drive to Manzanillo.The land is titled for construction, mostly flat and ready to build. 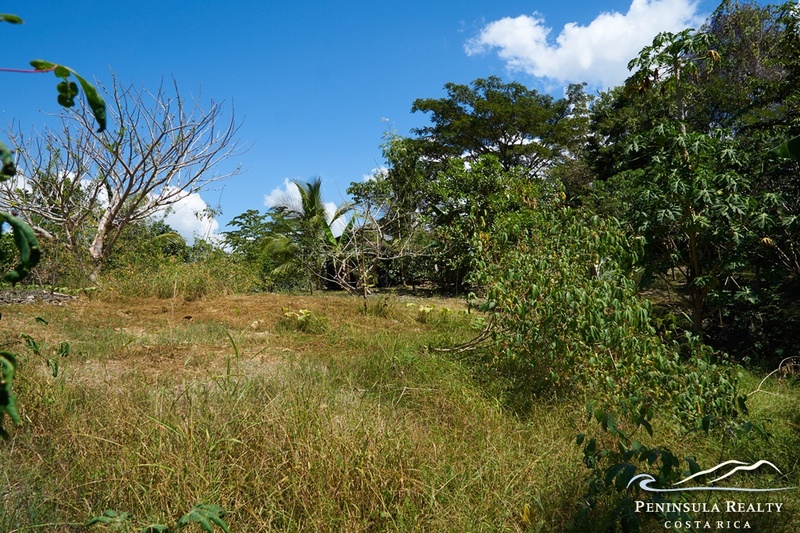 It has 30 m road frontage to the public road and electricity posts. 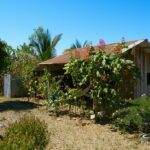 The owner, a passionate gardener, has planted lots of ornamental and fruit trees, also herbs for kitchen and medicinal use. 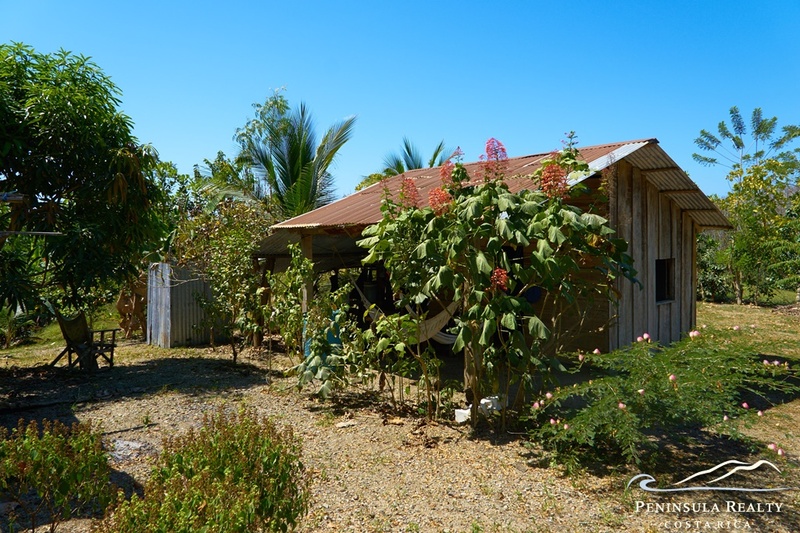 There is an existing bodega on the grounds and a small well which supplies water for most of the year. 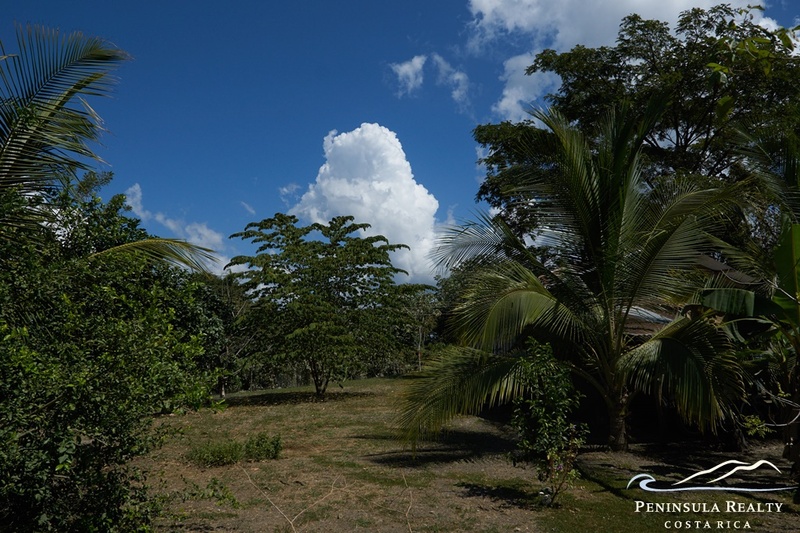 From a second floor you could have ocean and mountain views.